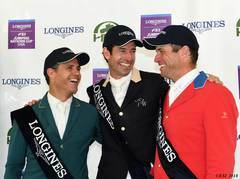 HITS » All Blues for Nayel Nassar and LORDAN in the $100,000 Longines FEI Jumping World Cup Qualifier! Nayel Nassar & LORDAN Do It Again! Just five would return for the jump-off, all in the chase for the winner's purse and valuable World Cup qualifying points. First to return for the jump-off was John Pearce, of Canada, aboard FIRESTONE S. Pearce would finish in fifth place with a four-fault performance in a time of 45.29. Eve Jobs would produce the first double clean ride in a time of 43.97 aboard her 13 year-old Belgian Warmblood mare VENUE D’FEES DES HAZALLES, representing the United States. “I’m very happy to be back here. It’s nice to be close to home again. I grew up doing these shows,” Jobs said. 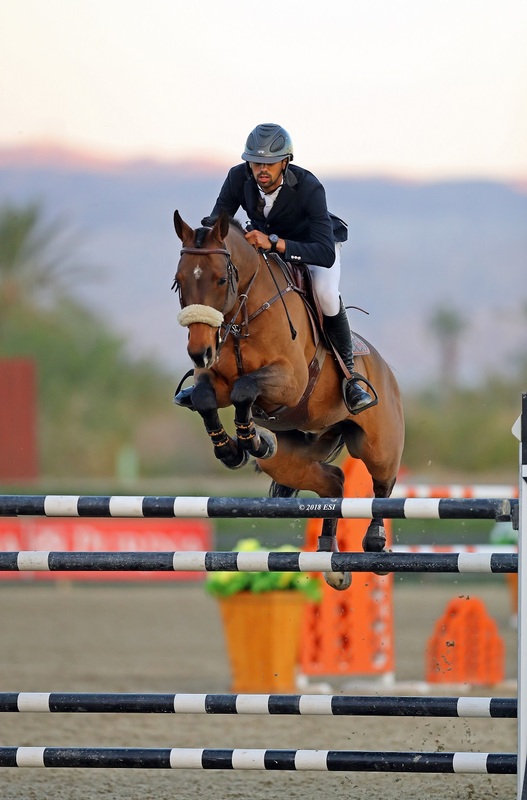 Nassar and LORDAN have often found themselves in the Winner’s Circle at the AON HITS Desert Horse Park, taking home not only World Cup Qualifier titles, but also titles in the AIG $1 Million Grand Prix, and in featured classes throughout the week at the HITS Coachella Desert Circuit and the National Sunshine Series. 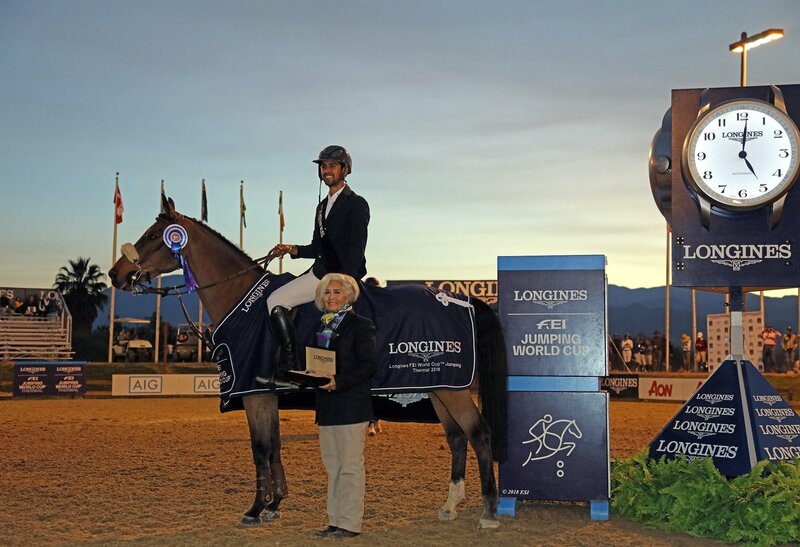 Just last week, at National Sunshine I, Nassar and LORDAN took home the blue ribbon in the $35,000 Coachella Welcome Stake. Last to go in the jump-off was Richard Spooner with his partner QUIRADO S. Known for his speed in jump-offs, Spooner would not disappoint today with a quick time of 41.99, but a rail and four faults would result in a fourth place finish. There is still more action to come at National Sunshine II tomorrow! Catch all the excitement live on Showhorse TV! Stay up to date with all of the upcoming HITS events via Facebook, Twitter, Instagram, Snapchat, and HitsShows.com.